BBC News - Today - Has pop gone posh? If the Beatles were starting out now, would they make it in the music industry? The majority of pop musicians are now privately educated, or went to stage school, according to Word magazine. Does the rise of Lily Allen, Florence Welch, Chris Martin and the like spell the end of working class pop? It's 4pm at the central London studios of BBC Radio 1, now into its fifth decade of broadcasting new music to millions of young people across the UK. In the basement on-air studio, a red "mic live" light illuminates and a computer screen lists the tracks due to play - from artists including Noah and the Whale, Tinie Tempah, Mumford & Sons and Katy B. Four floors above, Radio 1's first-ever female DJ, Annie Nightingale, is in to prepare for her weekly show. After 40 years with the station, she's well placed to remember the days that bands like the Beatles, the Rolling Stones and the Who were regulars on the playlist. "When that whole kind of great big wave happened in the sixties you just sort of felt 'this is world changing, they're changing the world,'" she recalls. "It was about working class people being able to do very well". My son James Blunt... receives harsh criticism here and we have, rather sadly, been aware that it is because of his background. It is a well rehearsed narrative of the 1960s: The explosion into popular culture of apparent working class heroes - bands whose protagonists broke free from life at the bottom of the pile to challenge the established order. In reality it was always more nuanced than that, as Nightingale says, "even then they had to pretend to be more working class than they actually were." "A lot of them had fairly comfortable middle class backgrounds. John Lennon did and Pete Townsend. But not Roger Daltrey and not Keith Moon." But while the reality may have differed from the image of 'authentic' working class boys made good, a new argument has been raging in the music world over the changing social dynamics of popular music. An article in the December issue of music magazine The Word claimed the majority of UK chart acts were now either privately educated or from prestigious stage schools. The magazine compared a Top 40 from a week in October 2010 to the same week in 1990, when it found nearly 80 per cent of artists were state school educated. 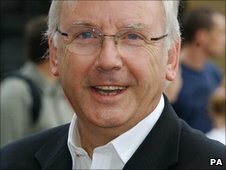 The 1980s pop producer Pete Waterman thinks the findings reveal an insidious truth about the way the strings are being pulled in the modern music industry. Sitting beside his wall of Ivor Novello songwriting awards at his studios in the former London County Hall building, Waterman is vociferous. "This has been a gripe I've had for over 20 years, and particularly right now. It's never been worse," he says. "The major companies dominate and they see a CV and if you haven't got 96 O levels you ain't getting a job." "In the old days you got a job in the music industry because you knew something about music. Now when they see your CV they don't take you unless you've been to university, full stop." But does the same requirement for academic credentials dominate when it comes to bands trying to break through? "I think that when all the A&R people wear Jack Wills clothes it tells you where they're going." Those who promote the argument that rock has gone 'posh' point to the emergence of a swathe of privately educated artists: Singer songwriter Laura Marling, and Lily Allen - daughter of actor Keith, who attended the prestigious boarding school Bedales. The list continues with other popular acts; Florence Welch, Jack Penate, Jamie T, and Chris Martin, the Coldplay frontman who attended the independent boys school Sherborne. 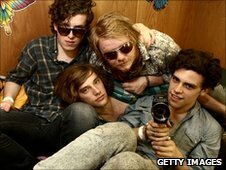 Leading members of so-called 'Nu-folk' bands Noah & the Whale and Mumford & Sons went to St Paul's School in Barnes and King's College School, Wimbledon. Noah and the Whale frontman Charlie Fink rejects the idea that a private school education means the art form suffers, saying bands should be able to have a voice "wherever you come from". "I don't think with our songs where we come from really comes into it, because it's rare that we write about it," he says. But the private-versus-state school debate may be the wrong prism through which to study the dynamics of the contemporary music industry. In reality, many new acts are alumni of either the BRIT School in Croydon (importantly, a state-funded performing arts school) or of the X Factor. And the "real" class heritage of big acts has been the subject of controversy for decades. Joe Strummer, frontman of The Clash and an icon of the 1970s punk scene, was famously "outed" the product of a prestigious Surrey boarding school. John Lennon, despite writing Working Class Hero, but was the product of a middle class upbringing and went to art school. Others suggest the more fundamental truth is that guitar based rock is simply no longer commercially viable, allowing other genres to fill the gap. Nightingale points to what she calls "one of the biggest musical explosions" of recent times: A development in urban music known as grime and dubstep. 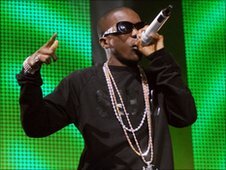 Artists like Tinie Tempah, Tinchy Stryder, Professor Green are scoring regular chart hits with tracks that as Nightingale says relate to "nasty things happening on dark streets". "I don't think they all came from privileged backgrounds and they are doing brilliantly well." Do you think pop music has become too posh? Do you care where you pop stars are educated? Let us know via Twitter or Facebook . My son James Blunt, who is hugely appreciated worldwide, receives harsh criticism here and we have, rather sadly, been aware that it is because of his background. We are relieved that on the whole James's fan base take no notice of the critics. Having tried to get into the Music Industry, I found there was a lot wrong with it. A lot of so-called musicians get signed for the wrong reasons and lack talent, in my opinion. It may be a 'class' thing but I think it's more a greed thing to be honest. No problem with posh pop stars being posh - It's because every single one of them is Boring - to a man or woman, apart from Peter Gabriel, maybe. Music has finally given in to the class system. Because most artists are now earning millions they have moved up the social ladder so that they can enjoy those gatherings where once the hosts would have stuck their noses up at them. Plus it is very fashionable now to be seen canoodling with the most famous of 'pop' stars. Having money and being from a privileged background certainly helps bands. Unlike struggling bands who have no money that need to save up to record a demo in the cheapest studio possible, the more privileged can afford to record in a top studio with a top producer to get that clean and polished sound which labels seem to love so much lately. It certainly doesn't matter whether you're posh or not when judging a musician's prowess. Sure, the head of a major label being daddy's drinking buddy might not hurt, but if your music stinks it stinks. It's not about being "posh", it's about there being cash in the family to support a potentially non-earning career. There's no money in the music business now so you have to bring it with you. Does a narrow social elite run the country?